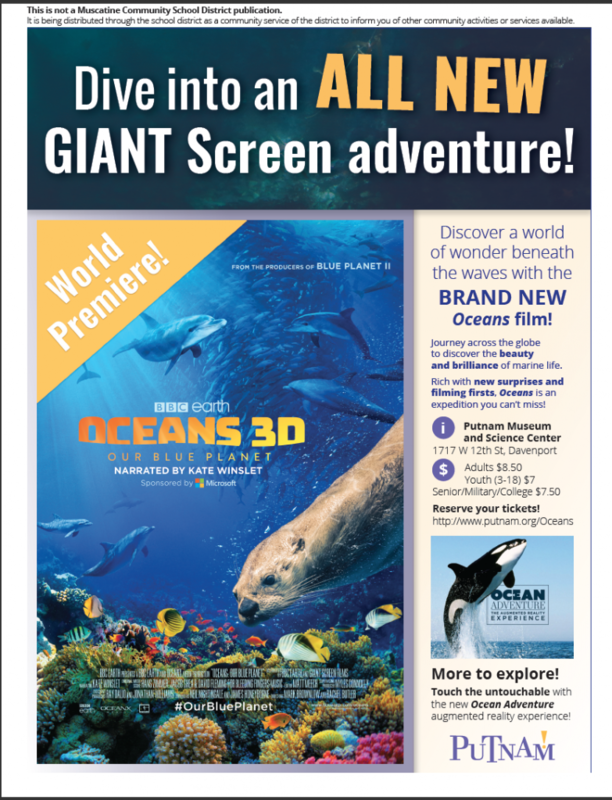 Description: Discover the largest and least explored habitat on earth with the must-see GIANT Screen experience “Oceans: Our Blue Planet 3D” beginning March 23. Embark on a global odyssey with “Oceans,” and go further into the unknown than ever thought possible using new ocean science and technology. From the coastal shallows to deeper, more mysterious worlds, discover the untold stories of the oceans’ most astonishing creatures, during this expedition narrated by Academy Award-winning actress Kate Winslet.